The brand new Seventeenth Series of Thomas & Friends is to mark its debut on an exclusive release. Forerunning King of the Railway's September premiere, Season Seventeen will be previewed in Railway Mischief, only to be released as a Walmart exclusive. The DVD is to hold five episodes ahead of a quickie release next month in the US. A commercially available version is expected to follow. The summary reads; Cinders and Ashes! There’s trouble on the tracks for Thomas and his friends. Gordon and Cranky don’t want to listen to really useful advice from Paxton and Kevin. Scruff, Winston and Stafford lose track of themselves, causing confusion and delay! Sometimes engines need a little help from their friends to chuff and puff full steam ahead! 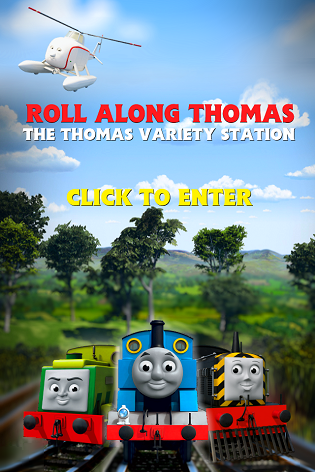 The cover shows a surprised Thomas and Gordon running through muddy tracks. A Take-n-Play poster is included as a bonus. Railway Mischief from Lionsgate Entertainment hits US DVD shelves on April 9th 2013 only at Walmart. It'll be a Walmart exclusive DVD only for a little while. After a few months, it'll be available in other stores. so, it will hit the other stores, but will they give release dates, or this is the actual release date. All right, Season 17 seems to sort of be coming earlier than expected.